You’re already a Queen. Now it’s time to be treated like a star with a celebrity style makeover and photoshoot. Sure, spa days are great. 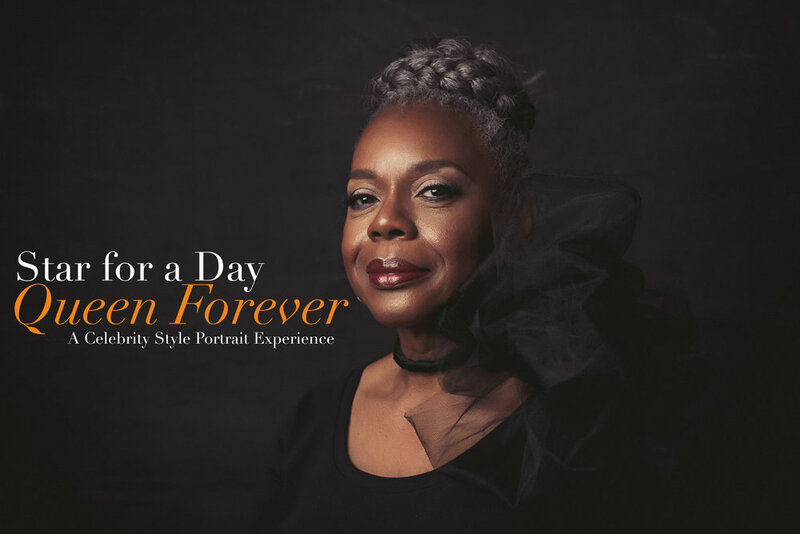 But with our Queen Forever Portrait Experience, you’ll get the best of both worlds: a day that’s all about you and memories that you’ll have for a lifetime. If anyone deserves to be treated like a star, it’s you. You spend all day worrying about others, cleaning up messes (literally and figuratively) and taking care of everyone else. When was the last time you were not only pampered but able to capture the day with a celebrity style shoot? If you’re like most women, then the answer is never. That’s why we’ve created this experience with you in mind. We’ve designed this to be more than just your average photo shoot. We know photo shoots can be scary and stressful, and that’s why some people avoid them at all costs. At Ajani Truth Photography, your questions will be answered, and your fears will melt away with every step of the experience. From the first moment you contact our studio, your photographer Ajani will be your friendly guide and expert leading the way, holding your hand through each step. He’s experienced at working with even the most camera shy newbies out there. And no questions are off limits. Ajani and his team have heard it all before. Feeling body conscious before a shoot is one of the most common worries. But our job is to make you feel beautiful and confident during our time together. Besides, with lighting, wardrobe, and poses alone you’ll appear more sleek and slimmer. That’s the magic of photography! During our consultation, I will direct you to a few sites to purchase (or rent) affordable show-stopping outfits that will bring out the best in you. Also, I have a selection of items in my studio that are suitable for a variety of styles and sizes. As a professional photographer, I assure you that there is no such thing as photogenic. It’s a simple mixture of mindset and skill. I will hold your hand through the process (well not literally, I’ll be taking pictures) and will make sure to pose and direct you in the most flattering way. The rest is just lighting and attitude...you got this! A pre-shoot consultation where you can ask Ajani any questions (yes, even what his name means). A celebrity style stress-free photo shoot (with 3-5 outfit changes), including all the direction and support you’ll need. And Ajani’s personal favorite, your big reveal where you will have the chance to see your finished photos and choose your favorites. Feel free to bring a loved one to your reveal. It’s a special moment. **Please note, photo packages are available for purchase at the reveal session including folio boxes, wall portraits and more. 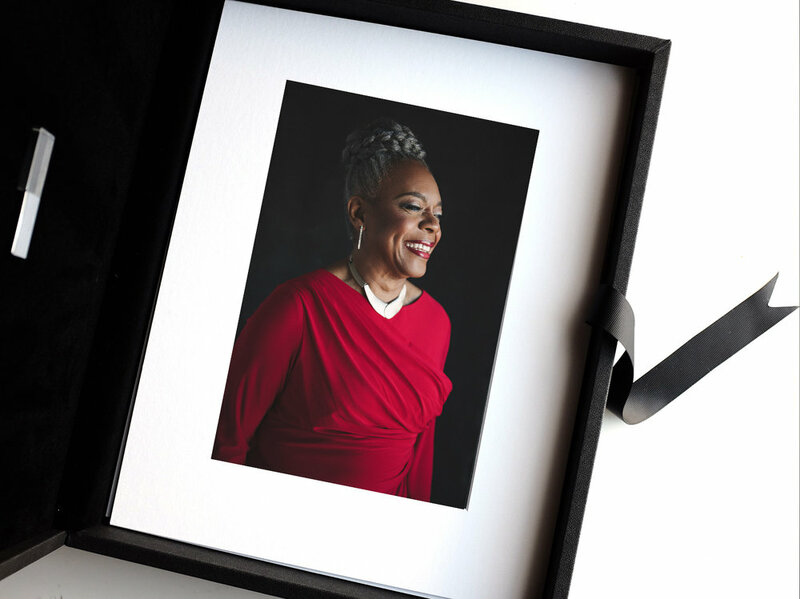 We’re proud to bring you a high-end luxury portrait experience at a price you can afford. That’s right. 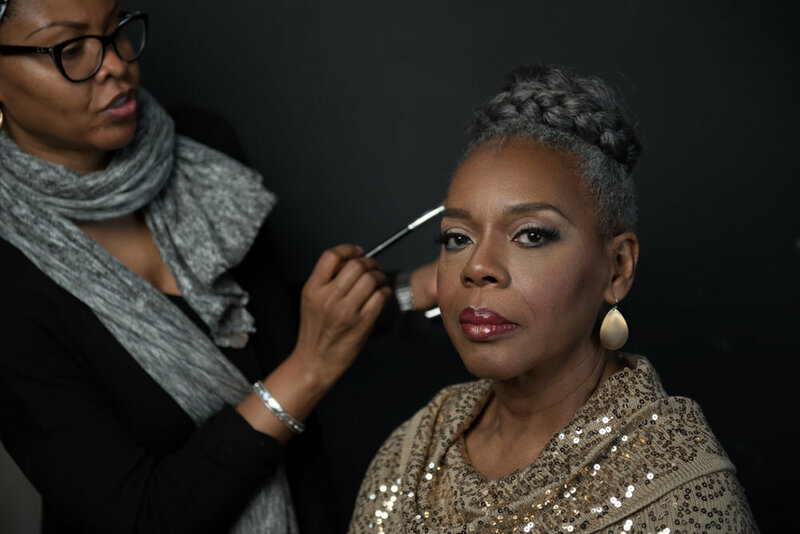 You’ll experience a professional celebrity style makeover and photo shoot at Ajani Truth Photography, valued at over $700, for less than $200. Even the most confident women sometimes hate to be photographed. We understand. We’re all insecure about one thing or another. And other times we put off things that we deem as a luxury because we don’t “need” it. But that’s the point. You deserve luxury. And if you’ve read this far, you know you do need the type of experience that you can only get with our Queen Forever Portrait Experience. You’ll not only have a once in a lifetime makeover and portrait experience. But also images of yourself (like you’ve never seen yourself before) that can be passed on through generations. So basically you’ll have a day that’s all about you (finally), a professional makeover, a gorgeous professional Vanity Fair style photoshoot and a piece of legacy showing you at your best. Now, when the last time a spa day achieved that? “Whew! That was the first reaction I had at my portrait session with Ajani Truth Photography. I never wanted to be photographed. But now I am ready to go for my next sitting! Besides the basic niceties that most businesses offer, Ajani made me feel like a star. I truly felt like a “Queen for a Day" with the old Hollywood feel of the studio- the lighted mirrored dresser, glamorous costumes hanging against the walls, the tall makeup chair, and the classy, white leather sofa. All of this enhanced my star treatment. Ajani is a borderline perfectionist, and his attention to detail put me at ease. He knew what to do and say to make me comfortable with the different poses. Shirley was my makeup artist. Although I am a former beauty consultant, I learned that I didn't have a clue about how to apply makeup. Shirley was fantastic and made me feel beautiful. She also made recommendations on my hair and accessories for each look. It was so hard to choose my favorite portraits because I loved all of them. I looked gorgeous. Everything about my experience at Ajani’s was something I'd want every woman to experience. It was all about me that day! Ajani Truth is the owner and lead photographer of Ajani Truth Photography. He is a professional with over ten years of experience. His specialty is providing fashion inspired, Vanity Fair style portrait sessions for women and personal branding headshots for entrepreneurs. When he’s not shooting in his VA studio or on location, he enjoys running, trying out new vegan recipes and being a proud doggy father to his rambunctious pup, Kesha.